Limestone walls enclose this inner city site, once derelict and unused, which was part of the Sexton Street Presentation school campus in Limerick city. 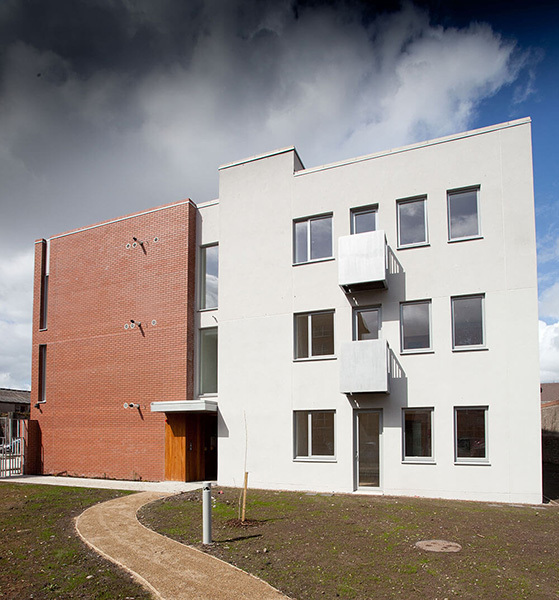 The brief includes housing for 35 residents requiring various levels of support and care, from independent to high dependency, and is a mix of apartments and houses in a single terrace. 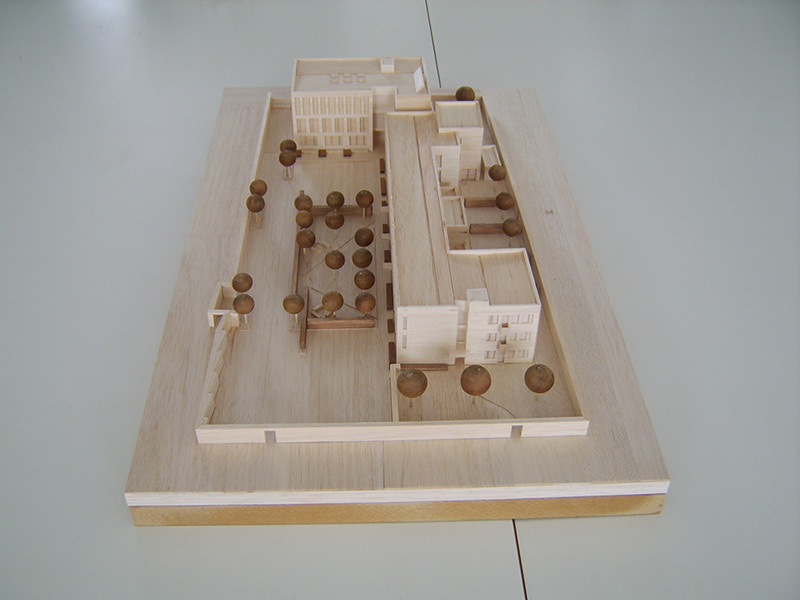 A separate building accommodates a Regional Training Centre. The mix of uses adds to the social cohesion within the site. Staff, trainees and residents interact and contribute to the overall sense of community. 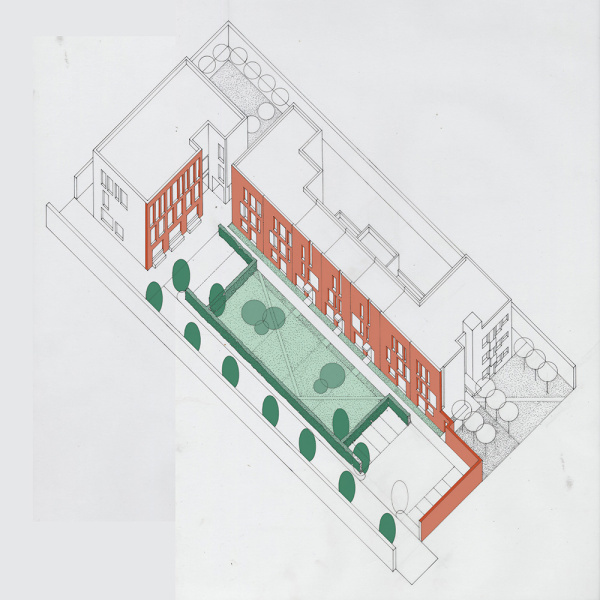 The garden is a shared green space that is formally defined by the carefully composed brick facades of the buildings; when it matures it will be a buffer between the residential settlement and the more robust territory of the railway station and yards to the South. 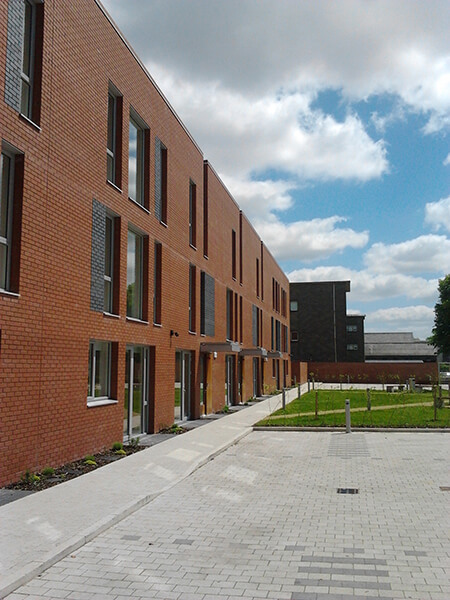 The residential terrace provides a mix of one and two-bedroomed apartments, staff accommodation and communal areas as well as 2 5 bedroomed houses. The houses and apartment blocks also have private gardens to the side and rear of the terrace. The apartments are finished in durable natural materials, oak and linoleum flooring and oak doors. The bathrooms are designed to lifetime standards. The kitchens incorporate assistive technology including height adjustable worktops and storage. Solar panels on the roofs of both buildings provide hot water and high levels of insulation ensure that the buildings are efficient in energy use. The BER certificates are A3 and B1. The Regional Training Centre includes classrooms, IT rooms and meeting space as well as breakout rooms and administration offices. The building has a communal dining room with kitchen, also with height adjustable worktops and large sliding doors with direct access to a timber deck and private garden. The building form optimises natural daylight with tall windows in each room and rooflights in the central meeting space. Every person living in the accommodation or attending the day service is supported to be as independent as possible and to take part in local community activities, with some of the tenants in the accommodation fully independent. 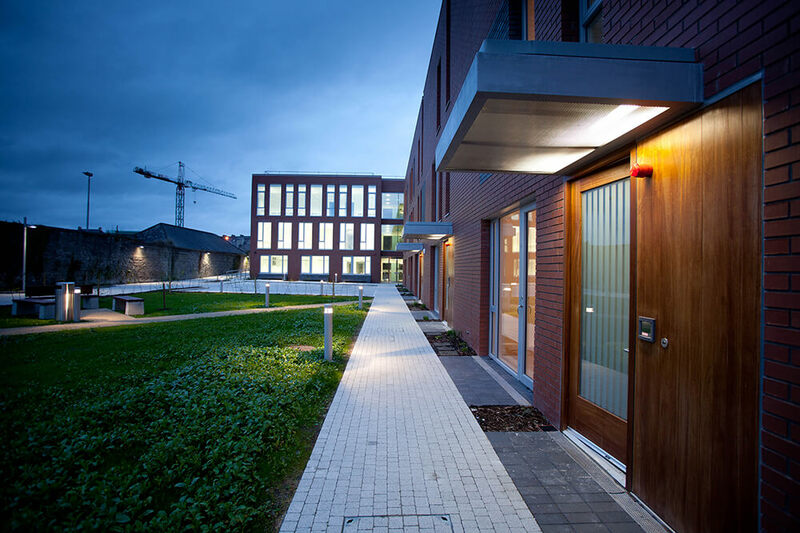 There was adequate flexibility to design highly specific accommodation for living and working, in a building with a strong sense of community.